When Joe Hutto began his experiment in imprinting two dozen wild turkey—in the tradition of the great animal behaviorist, Konrad Lorenz—he had no idea that it would change his life. 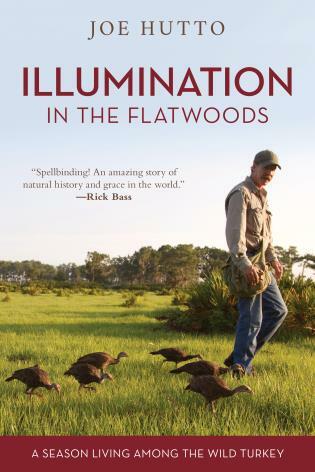 Told with skill and humor, and vibrating with the natural wonders of the Florida flatwoods, Illumination in the Flatwoods will amaze and enrich all who share this season with the wild turkey. Joe Hutto is a nationally-recognized naturalist and wildlife artist. For seven years, he lived with and studied a herd of mule deer in the Wind River Mountains, and wrote Touching the Wild about the experience. His study of a wild sheep herd culminated in the book A Light in High Places. He and his wife live in Tallahassee, Florida.